Shopping centers are supposed to be much more than just places where transactions take place. They should provide great “places for people”, where guests can enjoy food, retail, leisure, community, and share experiences with others. This is where the term “leisure” comes in. There are quite a lot of things happening in this sector in Europe. 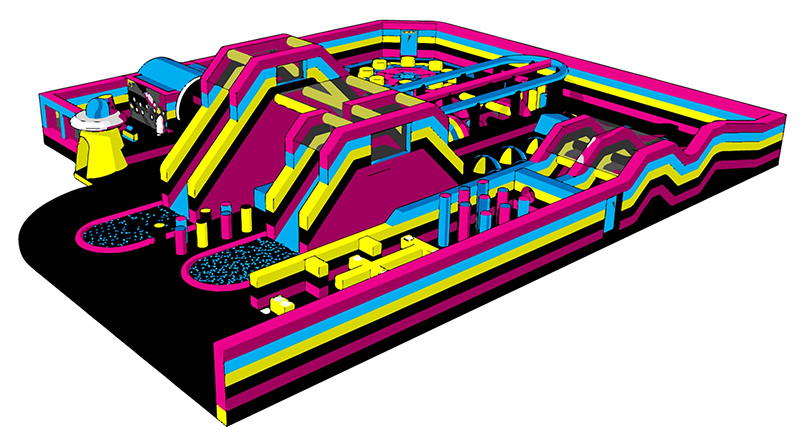 Let’s take a look at Great Britain: Air Haus, the country’s first interactive inflatable park, is making its debut at Meadowhall in Sheffield. Designed in Holland, Air Haus will combine the latest interactive technology with competitive games suitable for all ages. The 1,400 sq m site will challenge visitors to race each other across its course, scale the park’s 8-meter peak, and then relax under sensory lights. In addition to open periods, families with kids will be able to join dedicated toddler sessions, meaning families of mixed ages will be able to use and enjoy the park together. An on-site restaurant completes the offer. Air Haus will join a varied selection of popular leisure experiences in Meadowhall, including Jump Trampoline Park and Vue Cinema, complementing the line-up of restaurants such as Five Guys, Nandos and Wagamama. The park will bring up to 60 new jobs to Sheffield over the next 12 months. Air Haus is the 36th new brand to join Meadowhall following the £60 million refurbishment by British Land, joint owner of the center. Other brands to have joined the center include G-Star Raw, which has just launched a new concept store at Meadowhall, Flannels, Joe Brown’s, Neal’s Yard, Nespresso and Michael Kors. The mall has also expanded its beauty services with skincare specialist Thérapie Clinic, Barber Barber, and Mint nail and beauty salon.